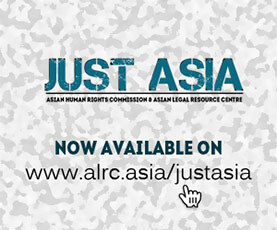 This blog aims to document and expose various forms of arbitrary deprivation of lives taking place in the Philippines. GERALD PERERA was a torture victim pursuing a case against several police officers at Wattala Police station, when he was fatally shot at on 21st of November 2004. He succumbed to the injuries on 24th November the same year. His fight against torture has inspired many persons to resist police torture and repression in Sri Lanka. A blog on the collapsed rule of law and human rights problems in Sri Lanka by Basil Fernando. A resourceful bilingual blog with updated information on the situations in Burma.